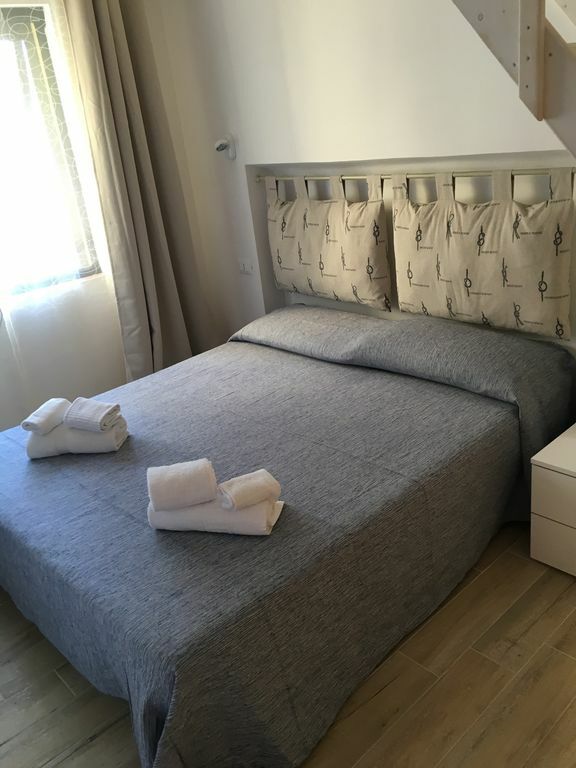 A few meters from the famous and worldly IRA beach of Porto Rotondo, in the beautiful and exclusive residence Le Vele, beautiful newly renovated studio with living room with kitchen service bed and sofa bed, air-conditioned, LED TV 46-inch WI-FI. Le Vele residence is located only 2km from the center of Porto Rotondo, adjacent to the Marina of Asfodeli where you can rent boats to reach the islands and the most exclusive beaches of the Costa Smeralda, 150 meters from Contro Ira and 250 meters from Ira beach, both conveniently reachable on foot. Guests of the residence can use the swimming pool located within a fully fenced park of one hectare. The apartment can comfortably accommodate up to 3 people, linen is provided on request for a small fee. The Apartment was just perfect. Very Modern and stylish Interrior and clean. The view from the Garden is just overwhelming. You have a Pool and the beach just next to you. A lot of tasty Restaurants in the Neighborhood. The Port and the Supermarket are 5 min away with the Car. The host was a very nice Person and helped us with everything we needed. I can really recommend this Apartment for two, its just Perfect. Ho pernottato 7 notti con la mia compagna presso l’appartamento del residence le vele e ci siamo trovati molto bene. Ringraziamo il proprietario per la sua disponibilità e gentilezza. Il residence è molto curato e silenzioso. Il nostro appartamento era moderno e soprattutto molto pulito. Consigliamo vivamente di pernottare qui.